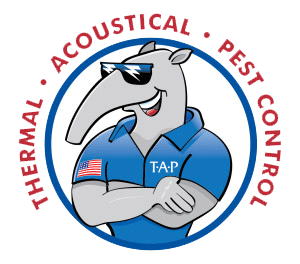 Get TAP Pest Control Insulation! What is Pest Attic Insulation? Pest Attic Insulation (TAP) is a 3-step approach to solving major energy and pest needs in your home. The “T” in “TAP” stands for Thermal. 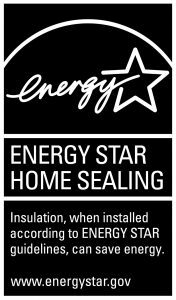 Essentially, the recycled paper insulation mixture placed in your attic is like putting a nice warm beanie on your home. In the winter, the insulation keeps the heat in your home and the cold air outside where it belongs. Installing TAP can save a homeowner up to 30% on their energy bill throughout the year! The “A” in “TAP Pest Attic Insulation” stands for Acoustic. Similarly, to the benefits of the “Thermal” aspect, TAP Insulation makes it harder for a loud noise to enter your home from outside. It is harder for noise and sound to travel through the air pocket in the paper product that makes up the insulation placed in your attic opposed to just solid material. With TAP, you and your family can enjoy a quieter, more peaceful bug-free atmosphere! The “P” in “TAP Pest Attic Insulation” stands for Pest Control. The fitted paper fiber insulation is coated with a Borate pesticide that prevents insects from infesting your home. The insect will come in contact with the pesticide, groom itself, and ingest the chemical, causing the insect to die eventually. TAP insulation keeps your home not only better insulated and quieter but also free of unwelcome bugs! ©2017 Arrow Termite and Pest Control, All Rights Reserved.